This salad requires preparation in advance as it needs to sit in the fridge for a while before serving; but is worth the wait. In a small bowl whisk the cider, juices, olive oil, sugar, salt and pepper. Add the onion and leave to rest for about 10 minutes. 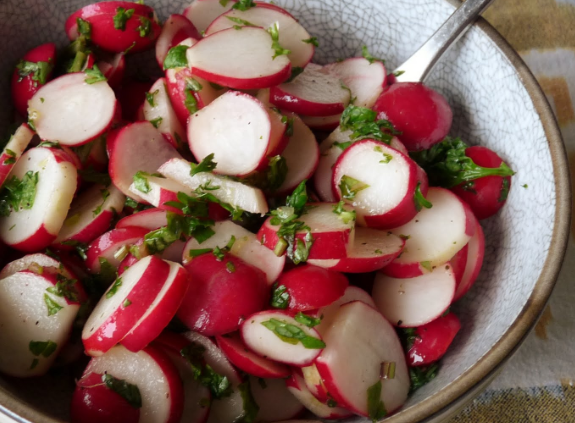 Trim the radishes and cut them into wedges; chop the coriander and place on a large bowl. Pour the dressing and toss everything together. Cover with a plastic wrap and leave in the refrigerator for about an hour. Categories: Coriander, Radish, Recipes | Tags: apple cider, salad | Permalink. 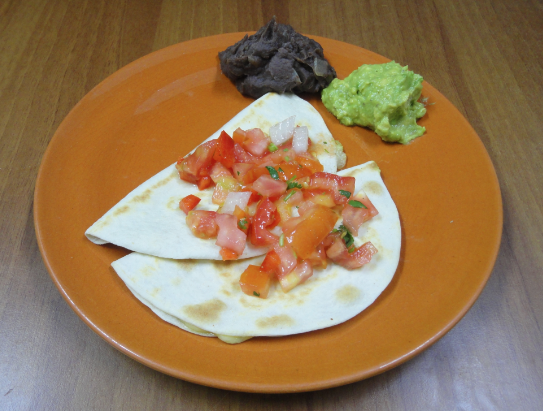 Today we are preparing an incredibly easy Latin American recipe. 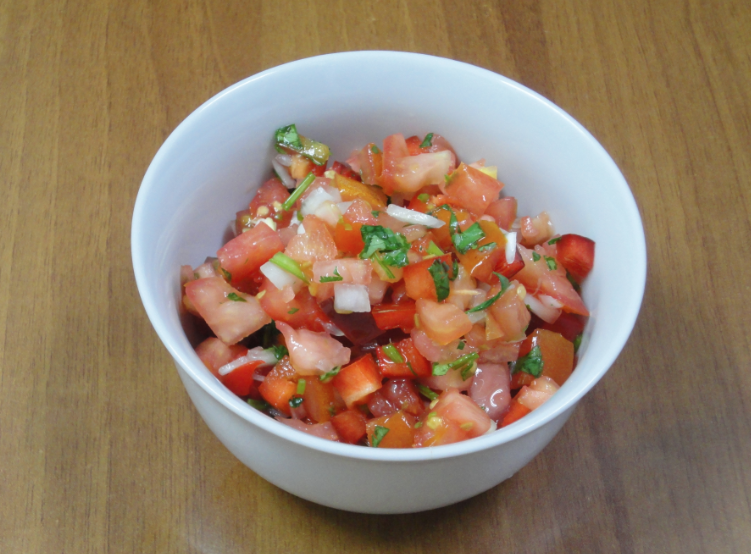 Pico de Gallo is great and super fresh that may serve well as an appetizer or accompaniment to your meals. Using the coriander and lime juice gives it a very special taste. We decided to use bell peppers too, though we have tasted it before without the bell pepper and apparently, in Mexico they use hot peppers instead. It depends on your preferences. 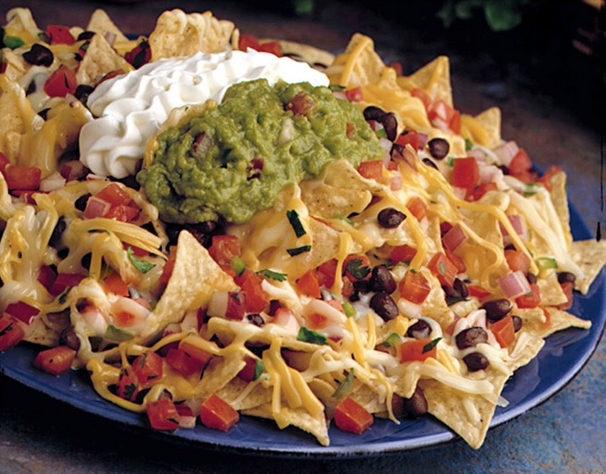 We have added a few pictures as serving suggestions: appetizer with toasted corn tortillas; quesadillas with fried beans and guacamole; and nachos. Dice the tomatoes and onion and place in a bowl. Remove the roots of the coriander and chop (you may eat stems and leaves). Add the lime juice and salt to taste. Mix well. It may be served immediately or if you wish, you could let it chill it in the fridge. 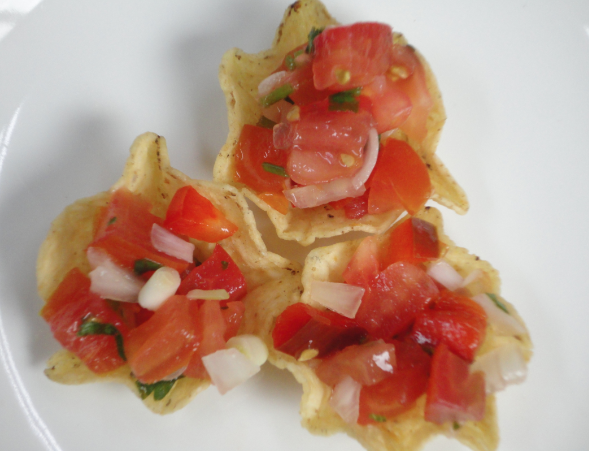 Categories: Coriander, Recipes, Tomatoes | Tags: appetizer, Latin American, pico de gallo | Permalink. If you have been checking our recipes, you may have noticed our love for natural yogurt as a healthy alternative for dressings. 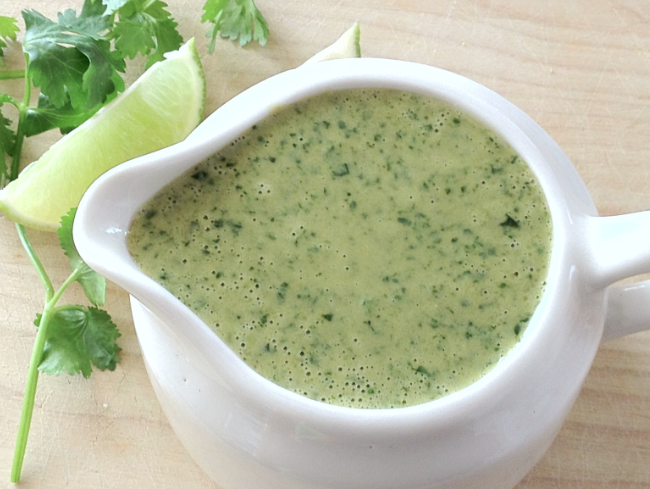 We are using it as the base, combined with coriander and lime, for this dressing that is incredibly easy to make! You may serve it freshly made or make it in advance and let it chill in the fridge. It goes well with salads, sandwiches, for adding flavor to your proteins (imagine shrimp skewers with this dressing), or to other veggies (like baked potatoes, tomatoes, cucumbers, we could go on…). Place all the ingredients in the food processor (or blender), pulse several times until smooth. If you would like to add a bit of heat, try adding a hot pepper, or ground cayenne pepper. Source: Slightly adapted from Simple Food Healthy Life. Categories: Coriander, Recipes | Tags: cilantro, dressing, Greek yogurt, natural yogurt | Permalink.